I wish they did that towards games that didn't have a chance that struggled to release a game but others helped out. The kickstarter campaign is all over but you can still pledge via paypal (that's how I backed Hollow Knight) but as it stands it ended on 69,320 backers pledging $6,333,295. 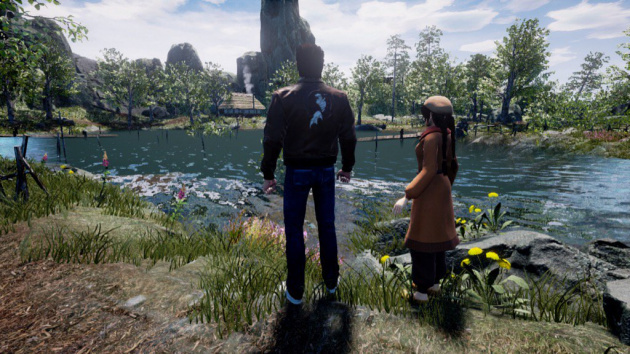 Interesting video not just on Shenmue III but on Kickstarter as well. Just started Shenmue 2 again, this time on Xbox. I''ve only completed it once on the Dreamcast and haven't not absorbed every pixel like I did the first Shenmue, so it's something that will probably be played gradually until Shenmue 3 arrives. A few hours in and I'm already developing a Lucky Hit addiction, as well as trying to beat that British fella at the darts. Forget how addictive the mini-games are. Excellent, I really should go back and continue my play of Shenmue. I've seen quite a lot of people ripping the piss out of the recent footage for this on twitter & from the gifs I've seen I can't say I blame them as the characters looked like emotionless robots. Whats makes it more bizarre is I don't remember the first 2 games being like that at all in fact I remember the facial animation being really good for the time. Saw that trailer... oof. MVC:I was getting flak for Chun-Li looking weird and Shenmue III looks even worse. Ouch. Shenmue I&II was rather realistic, well this is just plain horrendous. However, the budget for those were $47 to $70 million not $10m but I would have to think you can do a lot with $10m now though. 21st August for the glorious return of Shenmue I & II which have had some more info and they're basically HD ports, not a remaster.